Why run Boston? Heartbreak Hill? Potential hypothermia? I have more than one reason. First, I am running the Boston Marathon this coming April in memory of my amazing husband Webster O'Brien who died just after Thanksgiving three years ago. But I am also running in honor of my equally amazing children Bennett and Winter, who have had to learn way too much too young about love, loss, and moving on with life. 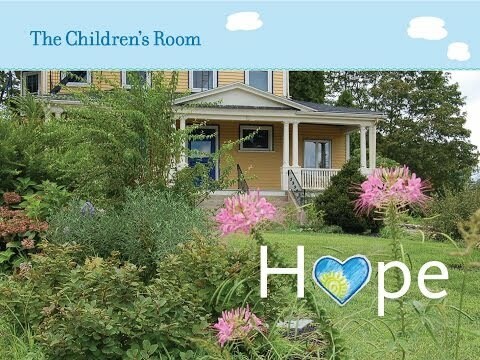 And I am so proud to be running to support the wonderful work of The Chlidren's Room - an organization that Webster first made a financial commitment to years before our own family had need of the supportive community in the yellow house on the hill. When we first became donors, our family was already close with another family that had suffered major loss. And we could see for ourselves the hugely possitive impact The Children's Room had on thier lives. So when Webster was diagnised with a terminal cancer, I knew exacly where to turn for support. Webster during his life was very committed to helping out with both time and treasure the organizaitons that had directly helped him or his family. After our son was diagnosed with leukemia in 2001, I immediately committed to taking part in the Jimmy Fund Walk to support Dana-Farber, where Bennett was being treated. Webster always took the children to the family walk, and I joined them for that the years that I didn't do the full 26.2. And every year, while I tied on my running shoes, Webster hit the fundraising trail. We did that for 16 years. Webster even walked in September 2015 - just a few weeks before he died. After the 2016 walk, our family decided it was time for a change. So now I am both tieing on my running shoes and hitting the fundraising trail. And while my children won't be running the marathon, they have supported some other crazy activies - inlcuding doing a Mother's Day Spartan race with me in freezing rain and mud! So I know they have my back on this. Things have come full circle in more ways than one. As a new TCR board member, I am excited to be part of guiding the organziation as it seeks to reach more and more children and families. Another circle is closing as Webster was training for the 1995 Boston Marathon when we had our first date. And while he swore he would never run another one, it has always been on my bucket list. So you can see that I have plenty of reasons to hit the road as part of The Children's Room 2019 marathon team. Please help us support The Children's Room with your donation! Knowing that I have all you backing me will help me up and over Hearthbreak Hill - and will help make sure that no child has to grieve alone. P.S. I want to thank Paul, Molly, and the whole team at Fitness Together Arlington for all the support. I couldn't do this without you!